How do I access New College Library? The Library occupies the eastern side of the New College quadrangle, behind the statue of John Knox. (Please note that access to the Library is via stairs – if you have limited mobility please contact the Library for advice before you come). 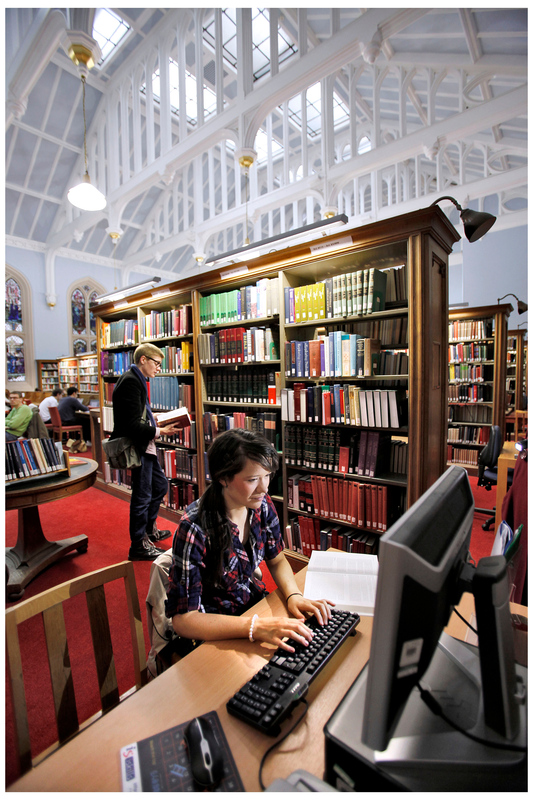 Contact details, further information on joining the library and opening hours can be found at http://www.ed.ac.uk/is/new-college-library. What are the Church’s historic collections at New College Library? New College Library’s substantial rare book collections reflect its heritage as a centre of learning for Presbyterian ministry. 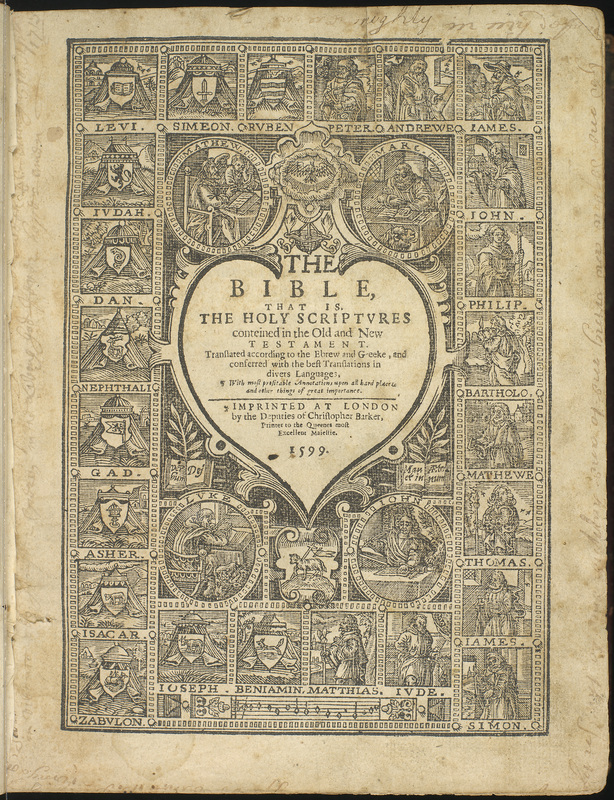 Early Bibles in Latin, Greek and Hebrew as well as English form a rich seam throughout the collections, which also includes more modern Bibles in languages from throughout the globe. 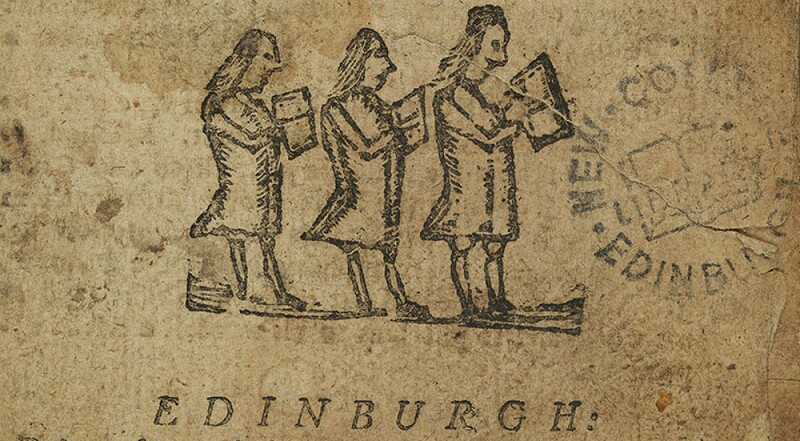 Pamphlets are a particular strength of the collection, including many unique early Scottish imprints. The collections were formed by the Free Church of Scotland from New College’s foundation in 1843, and augmented by the theological collections of the Church of Scotland General Assembly Library and the Edinburgh Theological Library as a result of church union in 1929. The Church of Scotland historical collection, including the Dumfries Presbytery Library, transferred from Tolbooth Church Library to New College Library in 1958, and the Church of Scotland Lending Library came to New College Library in 1971. A large part of our collections are catalogued online on the University of Edinburgh’s DiscoverEd with further material listed on the older catalogues kept in New College Library. To find out more about New College Library Special Collections see our web pages at http://www.ed.ac.uk/is/new-college-special-collections. New College Library also holds significant archive collections relating to the Church of Scotland, Free Church of Scotland and the religious life of Scotland. These include the papers of one of the leaders of the 1843 Disruption, Thomas Chalmers, and New College Principals Robert Rainy and Alexander Whyte. Twentieth century collections include the papers of J.S. Oldham, Tom Allan and John McIntyre. All of our collections are catalogued on archival handlists kept in New College Library, and significant work has now been done to make a proportion of these handlists available online and searchable via the University of Edinburgh’s Archives Online site. This means, for instance, that details of the MS BOX papers, which seems to have come almost entirely from the Library of the General Assembly of the Church of Scotland, is now searchable online. 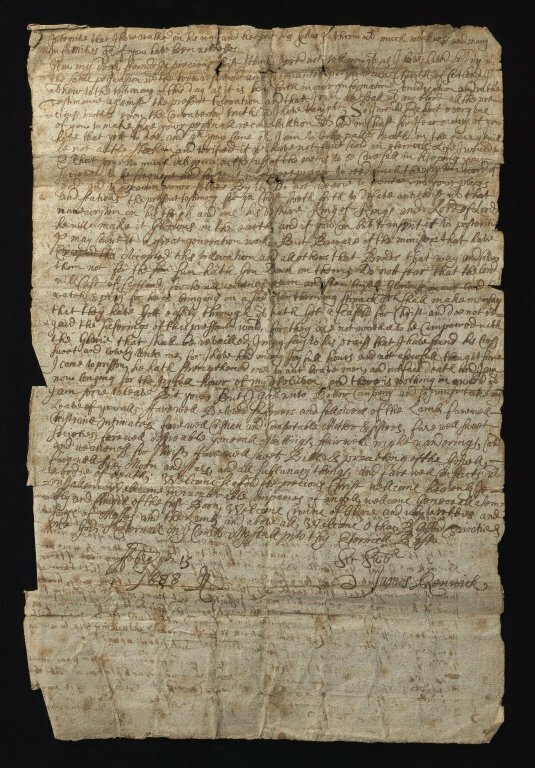 This series contains some of New College Library’s most iconic items, such as James Renwick’s Letter of Testimony, 1688. What other collections can Church of Scotland / Free Church of Scotland users access? New College Library has three open access stack floors of printed publications, which are available for reference and borrowing. Check University of Edinburgh’s DiscoverEd to find out more about our holdings. For more information on church publications, see my previous blog posts on Researching the Church of Scotland at New College Library and Researching the Free Church of Scotland at New College Library. My great grandfather was a minister and I think he studied at New College– what records might you hold about him? You could start by checking the Historical Alumni website for the University of Edinburgh at http://collections.ed.ac.uk/alumni/. New College Library maintains a New College Archive, although it is not indexed by name of student, and you may need to visit New College Library in order to research it. We do not hold transcripts of student records or any information about recent students.The Church of Scotland’s guide to historical records provides much useful information about tracing ministers. I’m a Children and Families Outreach Worker with the Church of Scotland – can I use New College Library for professional development research? Yes, you can. Bring ID and evidence of your church employment to register. You will also be able to use the library collections at the Main Library and Moray House Library, which cover areas such as social work, child psychology and child protection. This entry was posted in How to use New College Library, Library, New College Library and tagged Church of Scotland, Free Church of Scotland, University of Edinburgh by cloverodgers. Bookmark the permalink.